Over the past decades, the number of people migrating worldwide has been increasing dramatically. According to the UN, around 215 million people live and work outside their country of birth (a number expected to grow to 400 million by 2040), and over 700 million migrate within their countries. As more people decide to move within and out of their countries of origin, more children are being left at the care of other relatives or friends in their communities of origin. In China, for example, it is estimated that there are 58 million children left behind, while in the Philippines, 9 million children are thought to be left by their migrant parents. In Moldova, IOM estimated that there are approximately 177,000 children left behind, while in Romania this number approximates 350,000. Given the restrictive entrance policies, the difficult living conditions in destination countries, and the legal status of migrants, many people who decide to migrate are forced to leave their children behind. This decision is often based on the altruistic desire to provide for the family and give them a better life. When not migrating with their children, most parents plan either to return to their place of origin after working a short time abroad or to reunite much later in their destination country. Although migration might provide opportunities for parents to earn significantly higher incomes to the benefit of all family members, it is also accompanied by long-term family separations, which might have direct or indirect effects on children’s development. While several studies have indicated that remittances lead to an increased number of children, in particular girls, who complete schooling, in other countries the effect of parental absence tends to be negative. The loss of parental attention and supervision may lead to poorer school performance and increased drop-out rates. Children left behind are also often feeling obliged to perform household duties or take care of younger siblings, which leaves them with less time and energy for school activities. Living in a migrant household may also have a detrimental effect on the decision to attend school, as it may change children’s educational aspiration and increase the prospect of future migration. Despite the growing number of children left behind, little is known about the impact and implications of parental migration on children who stay in their country of origin. Children need safe, predictable and stress-free environments and a strong, caring and reliable primary caregiver in order to reach physical, cognitive, social, and emotional maturation. Migration creates emotional displacement for migrants and their children and it can have a detrimental impact on their children’s health, education, emotional stability and behavioral attitudes. Although some children cope well with the migration of their parents, others experience migration as a form of abandonment or rejection, adopting several deviant behavioral patterns. It is thus imperative to address the question of being left behind and achieve a full understanding of the dimension of this phenomenon. 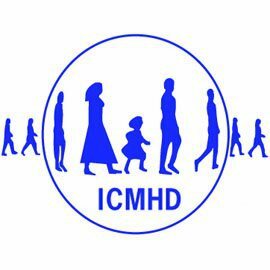 If you would like to support ICMHD, please contact our administration. Is there any other positive impacts for the children left behind aside from being well provided by their overseas parents ?